The kitchen, being an important part of the house also needs to be well-designed that could fit to its function and the activities that the homeowner do. 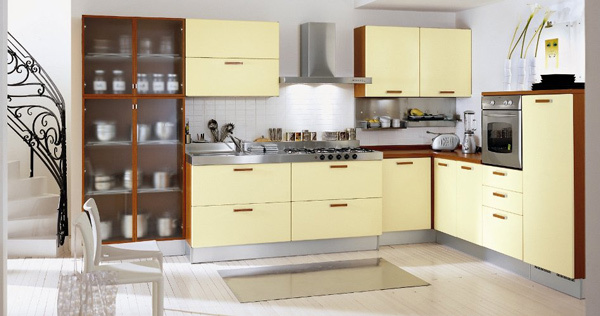 There are different kitchen designs and styles that one can choose from. But these days, modern kitchens are a hit. Today, we will showcase some modern kitchen designs from a creative team. The ZG Group is an Italian team comprised of creative people who offered us various designs ranging from lounges, bedrooms, kitchens and many more. It is composed of three main groups. The ZG Furnishings wherein there are impressive designs of bedrooms, libraries, stays, operational offices, offices, and cabinets. There are also leather lounges, modern living, traditional living rooms, upholstered beds, convertibles, and armchairs under the G&V Lounges Group. 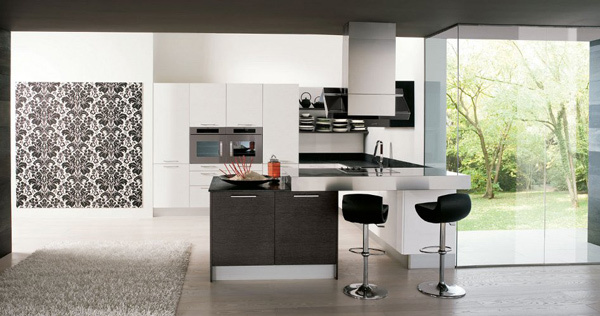 GM Kitchens is another creative group that features modern kitchens, system kitchens and classic kitchens. 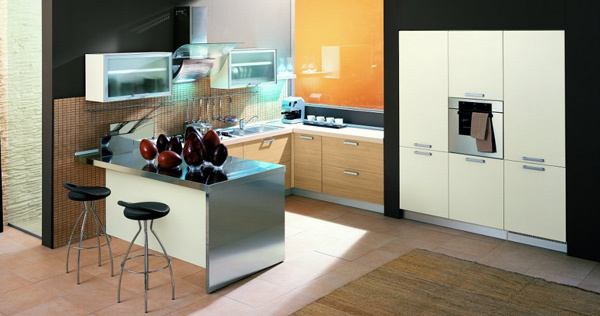 GM Kitchens’ pride are their impressive designs of modern kitchens. 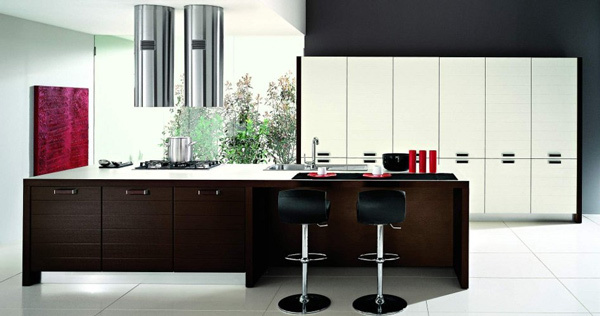 Armed with their aim to give customer satisfaction to millions of people worldwide, the kitchen designs are not just notable but are also suitable to the needs of the homeowners. 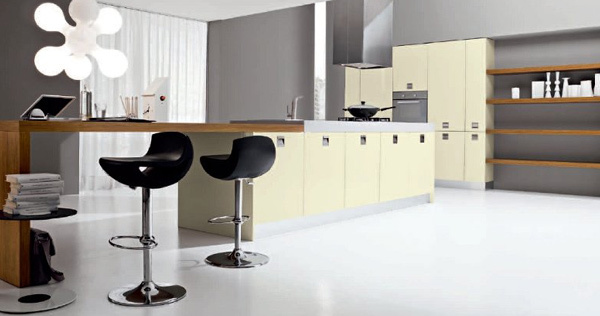 Check out the modern kitchen designs of GM Kitchens from the ZG Group. 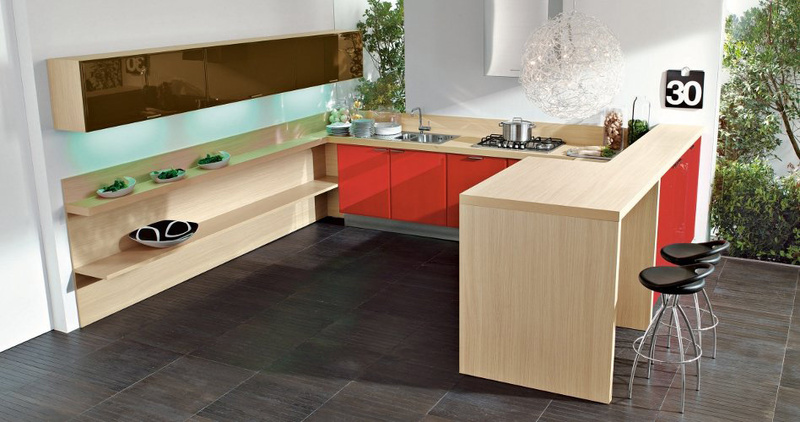 Wood particle board for doors and drawers fronts are used with Melamine coated UV transparent glass effect of Gloss Black Iron. This kitchen would be loved no matter how long the time is for its veneered panel with embossed finishes of Light Oak and Oak Tobacco. It also has a lacquered shiny Ruby Red touch. A modern kitchen that uses white, gray oak, steel and marble Cardoso in its furnishings, highlighted by a patterned decorative wall and a white carpet. White and dark oak doors and drawers makes this kitchen elegant especially with its white top. 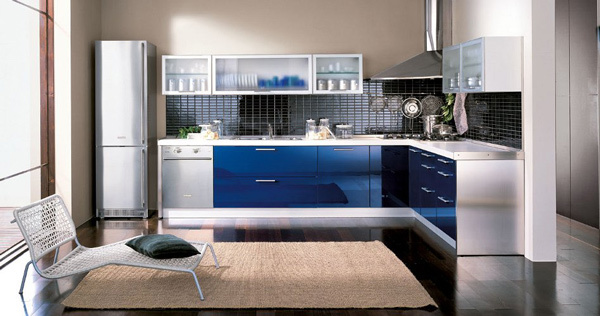 A sleek and clean looking modern kitchen with blue accents and glass cupboard doors. 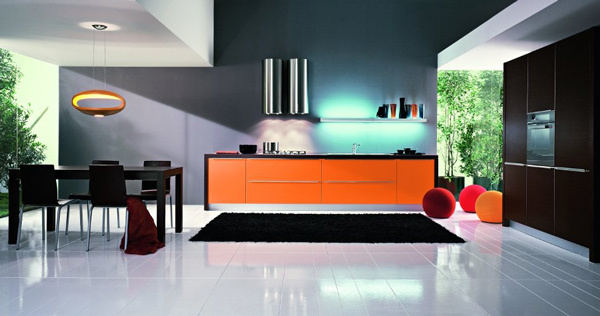 Totally sophisticated by using orange doors and colorful accents. It even looked more elegant with its dramatic lighting. A clean looking kitchen using white and light oak as colors. 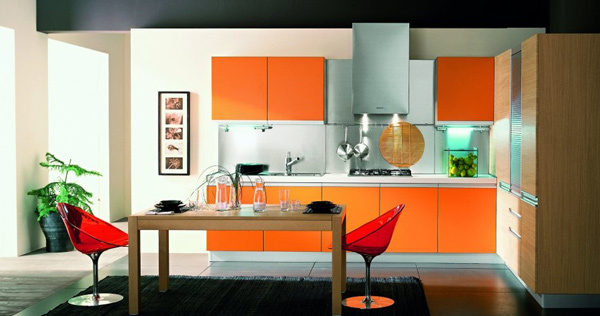 A bright colored kitchen which can surely increase one’s appetite as they dine near the orange colored fronts. 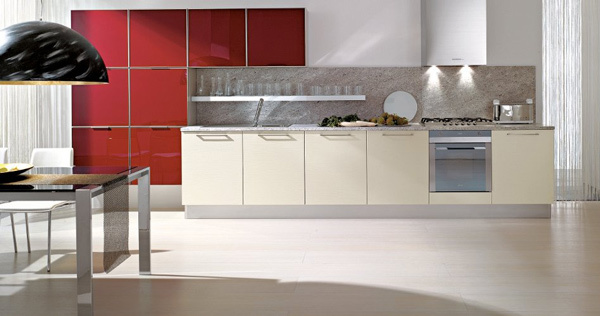 With a ruby red accent, this kitchen looks simple yet certainly appealing. 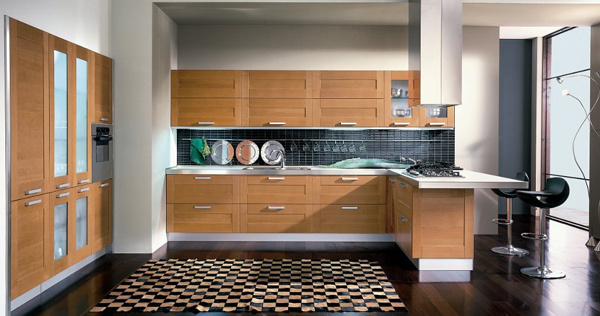 Using solid cherry wood veneer, this kitchen is given a bit of classic touch but still retains its modern look. 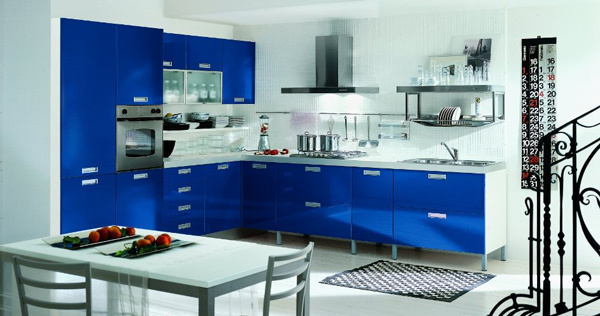 Looking cool with blue fronts, the kitchen looks organized and neat. 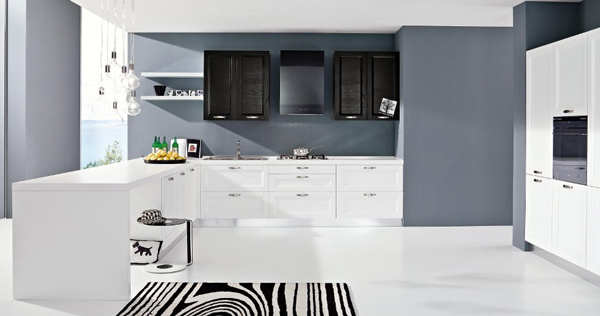 A white kitchen that is being accented with a black and white carpet which made it look more attractive. Ivory fronts and some touches of light oakwood made this small kitchen alluring. 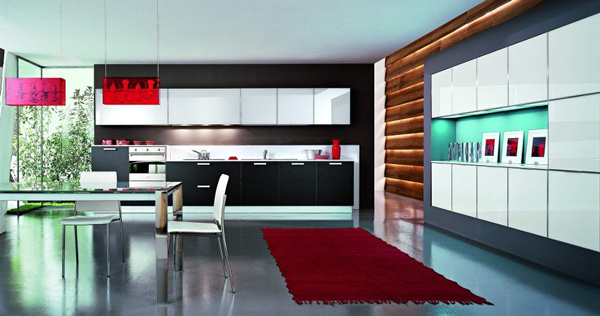 A kitchen given a relaxing and warm feel with its choice of colors. When you say modern, this kitchen surely fits the brand for its usage of sleek lines and good lighting. 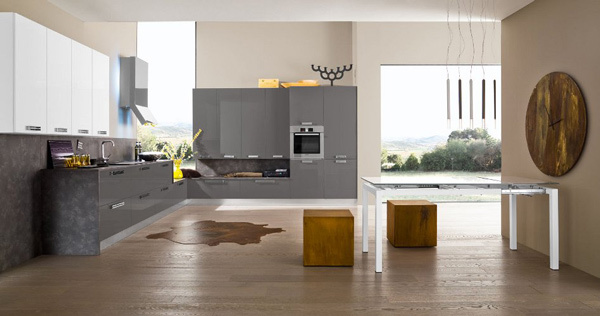 There are still more kitchen designs of GM kitchens from the ZG Group. If you were inspired seeing these modern kitchens, you might even be more inspired if you see our collection of enticing kitchen designs andwhite kitchens. For sure, you also have great kitchens knowing that it is the heart of the home where delicious and healthy meals are being created. Look forward for more kitchen design showcase here inHome Design Lover.